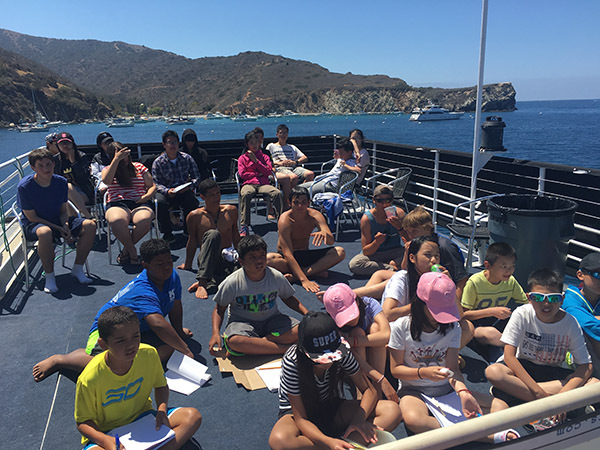 Mountain and Sea Adventures is hosting most exciting summer camp in Los Angeles, located on Santa Catalina Island! 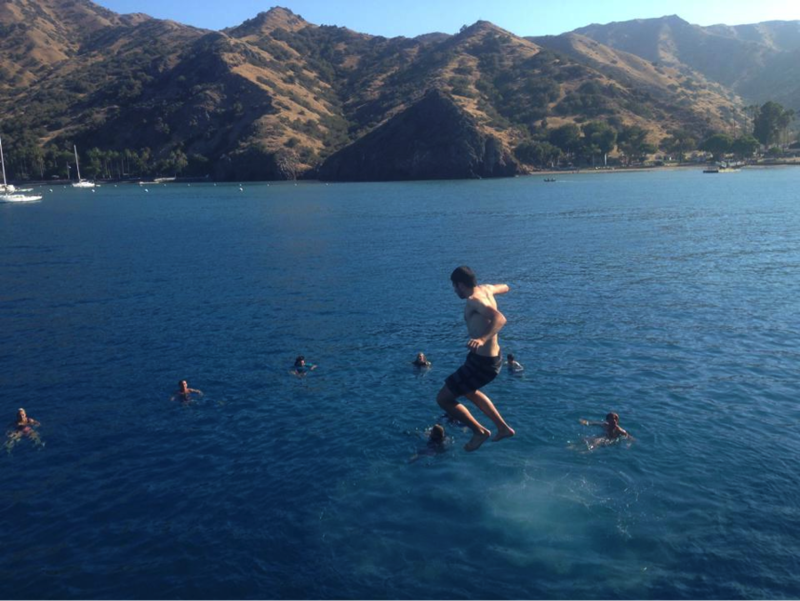 How would you like to spend a week aboard a marine research vessel exploring the hidden coves of Catalina Island, playing in the water, kayaking, snorkeling, surfing on the back side, relaxing on remote beaches, and so much more. That is exactly what Mountain and Sea Adventures is offering kids and teens this summer off the coast of southern California. Departing from Long Beach, the Wilderness Explorer is a 112 foot long marine research vessel ready for endless adventures over the water! With small zodiacs and kayaks, campers can go from the ship to shore to explore the natural beauty of Santa Catalina Island. Playing in the sun and water by day, and stargazing and story telling at night, one adventure merges into the next making for an exciting week of summer camp your child will never forget. Catalina Island is only an hour by boat from Los Angeles. Summer camp not only gives youth endless options for playing and having fun, but the Wilderness Explorer is outfitted with trawl nets, water analysis equipment, microscopes and lots of other research gear for doing hands on marine biology activities. Such activities spark a deep personal love and appreciate for the incredible natural resource that are our oceans. 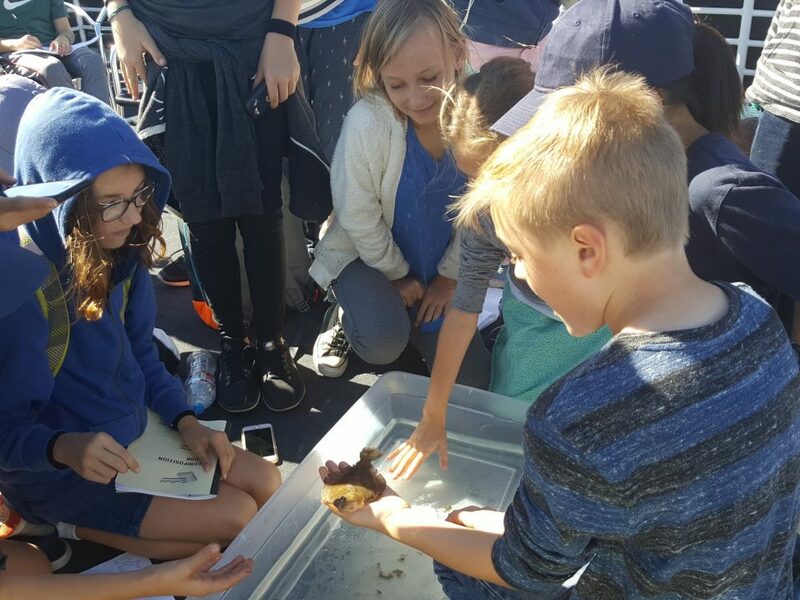 Students learn about the local species of fish, birds and marine mammals and study alternatives and solutions to help solve the various challenges threatening their habitats and the entire marine environment. This makes the MSA program one of the most unique and educational summer camp in Los Angeles. The Wilderness Explorer is a Coast Guard Certified marine research vessel. It has three spacious staterooms on the main deck, each with their own private restroom. There are 17 cabins below deck, a large common meeting area, dining room, private meeting room, and a large viewing deck up top. We have all the gear and equipment you could ever ask for. From wet suits, snorkels, fins, kayaks, paddleboards, floating slides, and lots more. There is enough to do onboard to keep us busy for months! The freedom that such a vessel allows is very exciting, each day a new cove! 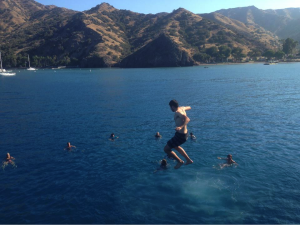 There is no better way to see all that the majestic island of Catalina has to offer. Catalina Island has an incredible amount of diversity. From world famous snorkeling and diving, to remote beaches for surfing and cliff jumping – no other summer camp program allows students to explore and experience so much of the island. Catalina Island is one of the most unexplored resources in the country of Los Angeles. 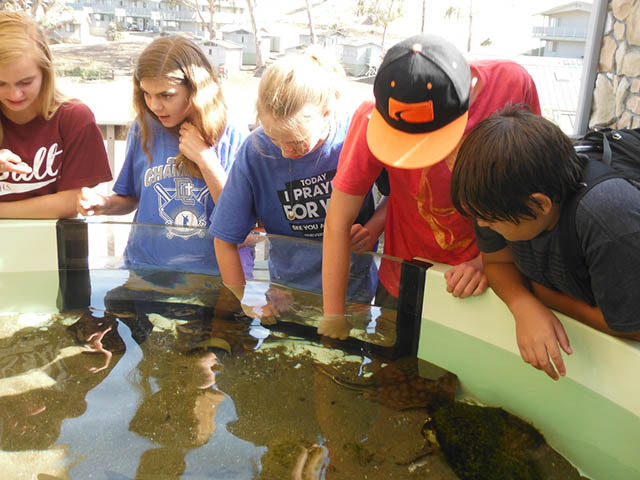 Summer camp participants get to visit the most popular coves of Avalon and Two Harbors, where they can shop for souvenirs and enjoy a beautiful resort beach town. They also get to see the longest natural sandy beach at White’s Landing, incredible snorkeling at Italian Gardens, exploring sea caves at Blue Caverns, surf at the backside beaches of Ben Weston and Shark Harbor, and even hike through the interior of the island seeing such wildlife as island fox, bison, bald and golden eagles, mule deer and more. Your child will return home after their week at camp with higher self-esteem, friends they have made for life, and a deep knowledge and appreciation for the ocean environment.